We are happy to do everything we can to help make an Our Lady of the Rosary School education a reality for your family. 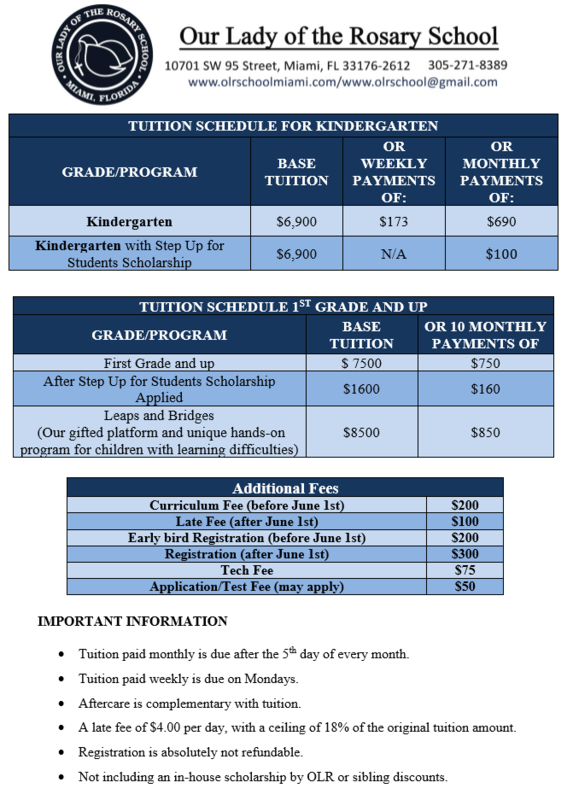 Tuition rates presented upon campus visit. Please contact the admissions office for more information. Financial aid and scholarship programs are available and we will work with you to apply for these sources of assistance should you qualify.